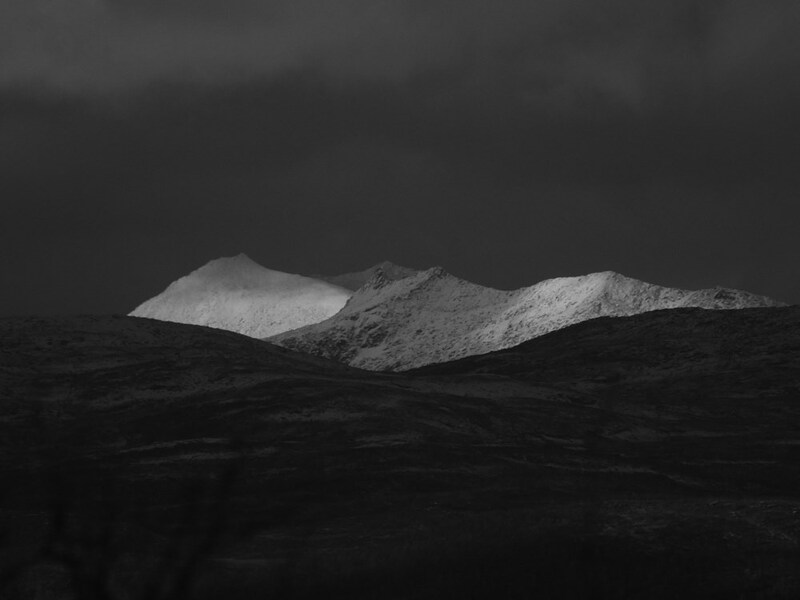 Continuing the with rather old pictures, here are some from a walk to Varden (the hill overlooking Finnsnes), early last October. It was not long after the first snow of the year. Just as we reached the snow line, the wind and snow started again, so we had to turn back as we weren’t that warmly dressed. Bizzarly though, this winter we haven’t changed from our summer to winter coats! Very old news, but last October (!) we had another vist from TX Vikings, the Chrsitian body builders with an uncompromising gospel message of God’s love for all, even those with serious problems (drugs, violence, etc). See here and here for previous visits. And thank you to everyone who prayed. 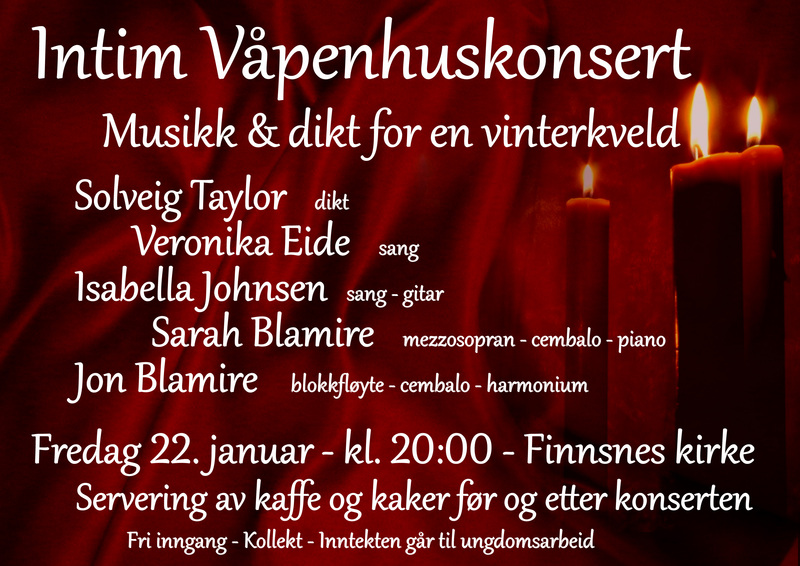 Tomorrow (Friday 22nd January) we’re performing another one of our Våpenhuskonsert (a concert in the foyer of Finnsnes church. We’re excited to have new performers with us. Isabella Johnsen and Veronika Eide are two very talented students at Nordborg (the local Christian high school), who recently joined the church band. Solveig Taylor is a teacher at the same school (known to the students as Mrs Taylor – she teaches English) and will be reading poetry between the music. The venue is intimate, and with tempertures set to rise overnight from -15C to +2C, it should be nice and warm. Hopefully it will be a cozy, stemningsful (atmospheric) time with acoustic music, and a slightly ‘old-fashioned’ feel of home-spun entertainment (before the days of TV). As ever, we round off the evening with coffee and cake! Having moaned about the lack of proper winter, this week Norway has been gripped by an icy blast. Susanna returned to the UK yesterday and the first leg of her journey was delayed because the airport had only perpared de-icer for -23C / -10f and the wings were iced at -25C / -13f. Thankfully she still made the conection in Oslo and got home on time. Today the forecast was for -32C / -26f. Spurred on by an article which said you could take pictures like the following, at temperatures below -30C / 22f . . .
. . . we decided to take a trip to the airport and try for ourselves. Why the airport? 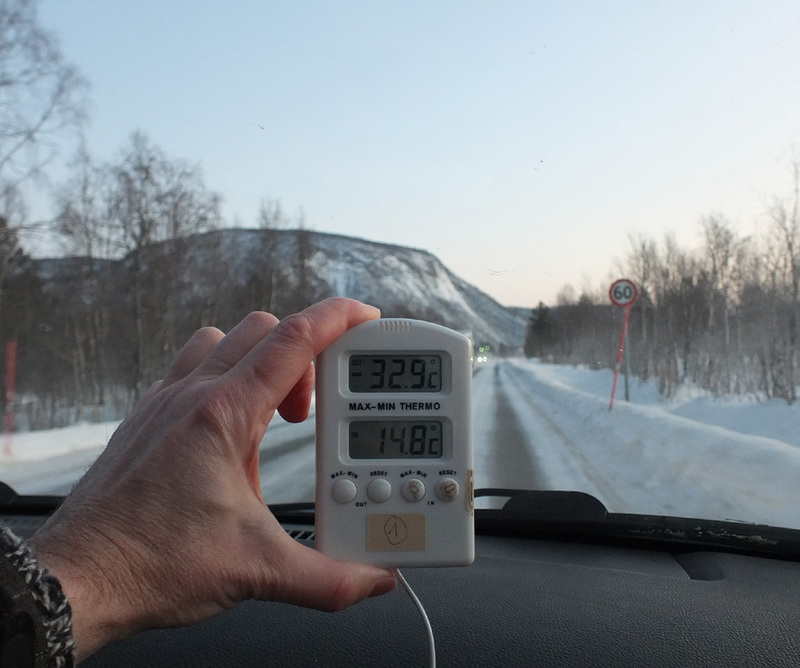 Because it’s regularly 15C colder there than in Finnsnes! 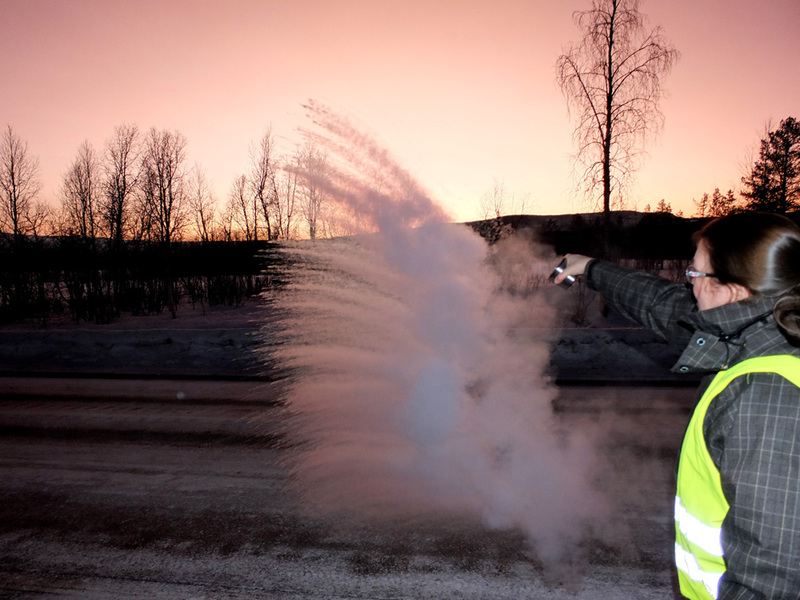 So, that’s almost boiling water to instant ice / snow. Cool!